Normally, you may catch a glimpse of your employees wincing and grabbing their hands after a long day of work in front of the computer. That is result of hand and fingers fatigue, something that may be obtained by typing for long periods of time. In such case, this would be a perfect opportunity for you, as the employer, to give them something that would ease their discomfort. Stress balls are miniature spheres, usually made up of either a hard, metallic material or a soft, squishy rubber which may be used to alleviate pain on both hands and fingers. They are considered therapeutic in the sense that they also help soothe the nerves, even just by rolling them on your palm. The best thing about this is that they aren’t expensive, so if you’re going to congratulate a whole department for a job well-done, you wouldn’t have to shell out so much. Here’s a good way to boost your employees back to action, after a long, successful work project. Let’s admit it, more work and productivity means more time needed to communicate with clients, may it be through meetings or through phone. When your employees are always on-the-go, help them “re-charge” their minds (and their cellphones). Nothing sends a better message to clients regarding the company’s dependability than with consistent updates regarding future projects, and nothing shows your employees greater appreciation than with a gift that consistently helps them all throughout. If your employees are the type to appreciate a well-made pen then this gift idea is right up your alley. Space pens are easy to carry and writes in multiple conditions, may it be upside down, under water, over grease, and even in harsh conditions. First used by astronauts in space, this is now sold in some outlets. The price may be a bit steep though, but if you’re willing to shell out any amount to show your employees that they have really done an excellent job, then by all means, give them this fantastic gift. Nothing speaks “congratulations” louder than a bottle of wine. Yes, you may mostly find them in luxurious dinners and fancy restaurants, but at least, your employees would appreciate how you went out of your way to a) come up with a unique gift and b) show them that their hard work is as valuable as wine at a grand gathering. The choice of wine is yours, just make sure that you’d check for any allergic reactions, otherwise, your employee/s may end up spending their night in the hospital rather than at home. We know what you’re thinking, “Isn’t this a bit cliché?” Well, mugs can never go out of style. Remember, your employees also love their coffee breaks, and what better way to show them how much they mean to the company than with a mug that says “The Best Employee, Ever!” Of course, your personalized message isn’t limited to that. You can even imprint their name on it, so as long as it’ll show great appreciation for their hard work and triumphs within the company. If you’re still looking for more corporate gift ideas, feel free to check out Gift Solutions. Whether it is a product launch giveaway, a corporate event souvenir, a sales rally memorabilia, a holiday or Christmas gift, our products are designed with elegance, sophistication and simplicity — all within your budget. For more information, you may call our hotline at 637-8641 to 42, or send us an e-mail via info@giftsolutions.ph. Admit it, all the stress from work can really bring out that body pain, especially during a hectic week filled with deadlines and revisions. For the most part, your employees may be better off with a 5 minute stretching exercise, if that doesn’t work, however, what better way to reward them for a job well-done than with a massage set. Therapy spheres for the hands and a vibrating massager are just a few perfect examples. Allow them to loosen up their muscles during break, after all, body pain excuses no one, whether at work or at home. Here’s the thing, everyone makes mistakes that can range from accidentally tripping someone in the halls to spilling your own drink on your keyboard. While you can get away from the former with a sincere apology the latter is definitely costly, considering the price of modern equipment and their paraphernalia nowadays. In such case, give your employees the gift that keeps on giving, a suction mug. It may not seem much, but it may save them from headaches in the long run. A good suction mug would at least keep their coffee in place while avoiding work mishaps due to an unexpected spill at the workstation, whether at home or in the office. We know what you’re thinking, “I don’t work at the I.T. department. Why would I even need this?” Either that or you’re probably going to say, “I’m granted work-from-home privileges. I don’t need this.” Here’s the thing, keeping your workspace organized involves not only the things on your desk, but the things below it as well. Your whole day’s work may be gone in seconds, just because you unexpectedly tripped on the computer cable near the end of the shift. Never make this critical mistake. Cable ties and colored cable tags are very useful, especially if you want to have a smooth workflow for the whole day. No need to get confused with the wires below your desk, as they would be all well-organized and appropriately labeled. This one definitely transcends office space, as plants are well-needed at all locations. Aside from the fact that they keep the air clean, they also fend off unwanted insects and pest (you can definitely look that part up in the internet and be amazed at the wonderful work done by plants). Green thumb aside, you can even gift your employees a cute little cactus, no need for water, just something green to cheer up the gloomy atmosphere at the workspace. It doesn’t matter if your employees are work-from-home or assigned at the office, they would greatly appreciate the energetic chill brought about by coffee. This is a perfect gift to give your employees, as caffeine deflects the stress brought about by deadlines and work pressure. One set can definitely offer more than a single cup or serving, as one already contains a small bag of beans, good enough to last for a few days or weeks. You can even match this with the aforementioned suction mug, a perfect combination for a hardworking employee. 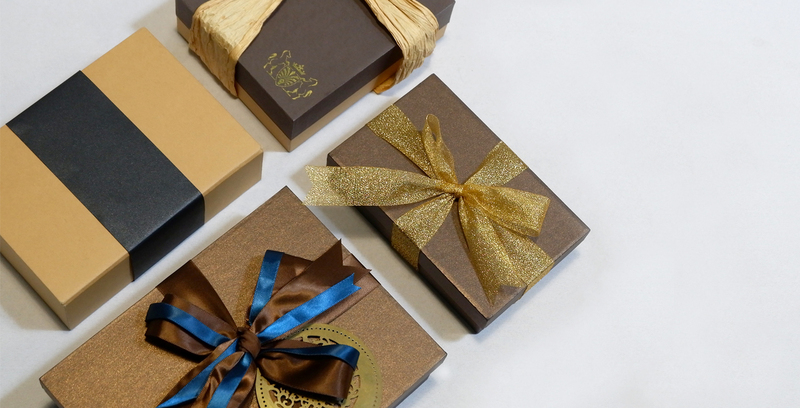 A great way to inspire productivity and employee satisfaction is by giving gifts. Not only are you showing your employees that you care (and thus increasing their loyalty) but carefully chosen gifts can also inspire or help employees to work harder. Before leaving home, most people have a cup of coffee or tea to wake themselves up for work. Giving your employees some good quality coffee beans or tea leaves as gifts is not only a good way to show your appreciation, it can also equip them for the day ahead. The Philippines is one of the highest-ranked countries in the world when it comes to traffic. So for people who live far away from their office, a travel mug is a godsend. It’s light, portable and can be filled with their drink of choice. Those in a hurry will appreciate having one if it means that they can bring along their coffee or tea while they drive or commute to work. Stress balls are deceptively simple but satisfying gifts to receive. As we all know, work definitely isn’t a walk in the park. Sometimes, it can even cause us enough stress to induce anxiety. But as adults, we are no longer allowed to express such emotions in an overt manner. And that’s where the stress ball comes in. It releases the accumulated negative feelings inside you with none being the wiser. Afterwards, you can go back to “adulting” and doing your job well. Ideas come and go, and sometimes the best ideas disappear as quickly as they come. 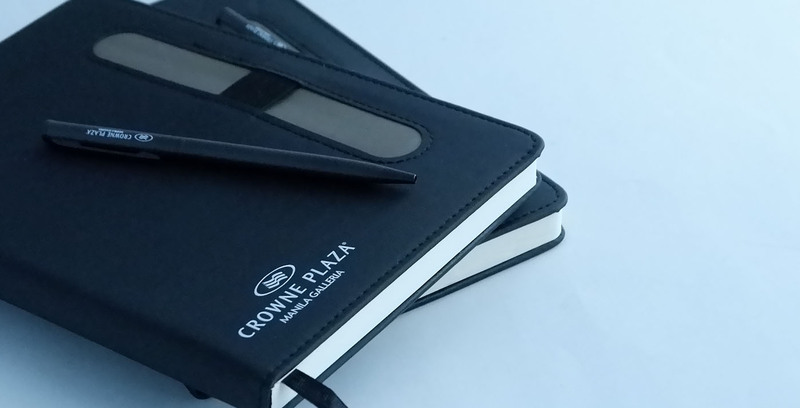 Giving your employees some handy notebooks that they can carry around will help them keep track of any interesting ideas that might suddenly pop in their minds. Another benefit to notebooks is the ability to keep track of things. Your employees can bring them along during meetings so that they can note down whatever changes, needs, or ideas come up during the discussion. It’s cute, unique and useful. A small whiteboard on a standee on their desk is a great way to leave people messages. You can write down urgent news, invites, or greetings and it would be the first thing they’ll see when they arrive at the office. A simple anonymous good morning message is enough to brighten anyone’s day and get them raring to go. Post-its are a great way to note down things quickly. The fact that they are bright is a plus as it makes it difficult to ignore them once they’re within your sights. So aside from adding color to your workplace, you and your employees can potentially use them to note down important reminders you need to remember. It’s important that you show your employees that they are appreciated, and giving small gifts is just one simple way of showing them you care. When choosing a gift, it is important to keep in mind that your recipients will associate whatever they receive with the gift giver. If they like it or find it useful, they’ll retain a good impression of your brand. Conversely, a badly thought-out gift could leave a negative impression and negate your previous efforts to win them over. Aside from making a good or bad impression, different gift items can also say a lot about what your brand is about. It’s important to take this opportunity to cement your brand’s image in your clients’ mind. With the wide variety of possible products to choose from, it’s not always easy to select the best item for your brand. To help you get started, we’ve listed down some common and practical ideas. Tote bags are a great gift idea if your product or service has something to do with the arts. Its relatively large size allows you to showcase your brand’s designing chops and the flexibility of what material to use gives you a measure of control over production costs. More importantly, it’s a practical gift that will surely be used especially by the environment conscious individual. Large, sturdy umbrellas are a good promotional gift for your clients. In a tropical country like ours, umbrellas are always in demand and most people have one or two stored in the trunk of their cars in case of emergencies. Umbrellas also evoke a message of being prepared for temperamental weather; and it’s the one gift you know your recipients will definitely keep! Depending on the material, pouches can send different messages. The overall size and design also play a big role in delivering what you want to say. A smallish femininely-designed pouch can be used to store essential make-up for on the go professionals, while a medium-sized canvas pouch can be used as a no-fuss lunch box. Whatever the first impression a pouch delivers, its underlying message is always ‘stay organized’. You can never have too many USB storage drives. Students, office workers and even executives use them for work. Storage drives are the best way to carry around. Its unobtrusive size but powerful storage capabilities have made it an essential part of the lives of many people around the world. A USB storage drive tells your clients that you want to help them in their work in small but powerful ways. Gifting good quality wine is one sure way to give your brand an air of sophistication. Another great thing about wine is that you can select them to tailor-fit the season or occasion. For example, a luxurious red or a celebratory champagne will go very well as gift to a wedding, while an easy to drink wine in a magnum bottle would be great to have at a party. When it comes to picking wines, the choices are near limitless and you can show off your good taste by selecting the perfect wine to match your recipient’s needs. Remember, gift giving is one of the best ways to show your appreciation while simultaneously promoting your brand in a much welcomed manner. Everyone loves receiving gifts, and everyone appreciates the person giving the gifts as well. When your company has an event or is celebrating something, it’s very likely that you have plans to distribute promotional items in an effort to extend your reach or keep your brand top-of-mind. But like the actual campaign or event itself, the promotional item also needs careful planning for you to get the most bang for your buck. There’s a reason why food giants generously use the color red in their promotions. When creating their logos and materials, their design choices definitely went through a rigorous process with multiple approvals. Expert artists and designers likely spent hours combing through every pixel of the copy to make sure that it induces the correct emotion in their prospective customers. It’s because different colors elicit different emotions from people. Blue brings calmness, purple gives you a sense of luxury, and in this case the color red is fun and exciting. You want people to connect your brand to positive feelings like trust, warmth, and joy. So take advantage of color psychology to evoke the correct emotions in your clients. Why are you making promotional items? To promote your brand of course! And the simplest and most efficient way to do this is by adding a logo on whatever you’re making. Note though that you shouldn’t just randomly slap your logo on that hard drive or shirt. It does take some planning to maximize its effects. Size, position and color all need to be considered. How big should it be to be visible but not be an eyesore? Where exactly should it be placed so that it isn’t easily covered? Does it pop out or blend in with the background of whatever color you chose for the item? All these questions need to be answered before you finalize the design. Depending on your item, you can sometime select the material it’s made of and what material you use can also say a lot about your brand. For example, compare a light cloth pouch to one made from waterproof nylon. Depending on the design, the cloth pouch can demonstrate practical femininity or organization. In contrast, a waterproof pouch can denote travel and adventure. Aside from the message it could send, the choice of material also greatly affects the production price of the item. Make sure to take your budget into consideration when making your choice. Presentation matters a great deal when giving gifts, whether they are personal or promotional. During Christmas, a festive wrapper adds to the excitement of opening a gift, while a reusable paper bag with your company’s logo can be kept and might reach more people when used again. More often than not, tastefully decorated packaging will leave a positive impression of your brand in your clients’ minds. Make sure you put some effort in designing whatever you want to make. Organizing an event always starts with conscious, meticulous planning. Just the idea of putting an event together from scratch can intimidate even the most levelheaded hosts. From announcements to finances, there are many critical points to take note of. But with smart planning and a proper mindset, you can plan an event efficiently. Sit down and determine the purpose of your event before anything else. A mistake most organizers make when planning an event is not having a clear, defined goal. It’s easy to lose your cool when there are a lot of moving parts involved, but a grounding purpose will give you a sense of direction. The earlier you start preparations, the more time you have to execute your plans. Not being in a constant rush to do things will allow you to check and double-check everything, ensuring that all your plans go off without a hitch. Half the battle of organizing an event is marketing it effectively. One of the most popular ways to create a buzz about an upcoming event is by utilizing social media. Create a complete social media strategy to promote your event. Use various platforms to spread the word to different segments of your audience. It’s important to assign accountability. Whether it’s you or a key employee, delegate one person to manage all the details of the event. You can then bring in more people to help with the rest of the moving parts. Make sure that tasks are clear-cut and a hierarchy of responsibilities is established. Think of a time you attended a lackluster event. What factors contributed to your negative experience? Now remember a time you went to an event which was truly amazing. Take note of the differences and get inspiration from the latter. Remember, the success of a business event is reliant on your guests’ enjoyment. You have to make every little thing count, everything from the welcoming check-in experience to the swag bags and event giveaways must cater to their taste. Use this opportunity to enforce a positive image of your brand in your loyal and prospective customers’ minds. Promotional souvenirs are, in many ways, better than other more popular forms of marketing. Clients will never print out and frame a banner ad. It is also unlikely that they will record an advertising jingle and use it as their ringtone. On the other hand, clients sincerely enjoy keeping souvenirs around. This means that your brand can deliver long-lasting and recurring impressions that can turn new prospects into lifelong clients. Souvenirs can help build enduring relationships, unlike a typical video ad which only lasts about 15 to 30 seconds before it’s gone. Clients can use items like pens and journals for up to six months; while tabletop calendars can last up to a year. You should choose items that are specific to your clients. And even if your recipient ends up not liking their souvenir, they might still re-gift them to their friends and family, stretching its lifespan even further. Because event souvenirs are so enduring, they have the potential to influence almost all stages of your client’s decision-making process. For example, if your recipient places your promotional souvenir on their desk, it may remind them of your brand when making business decisions. Constant exposure to your logo can do wonders in helping turn a skeptic into a believer. Select souvenirs that clients will keep around their homes or workspaces. Consistency and proximity are key factors to a successful conversion. Lastly, it’s important to note that promotional souvenirs are much cheaper than television, magazine, and newspaper ads. It is a form of advertising that perfectly balances factors like cost-effectiveness and impact on the client. 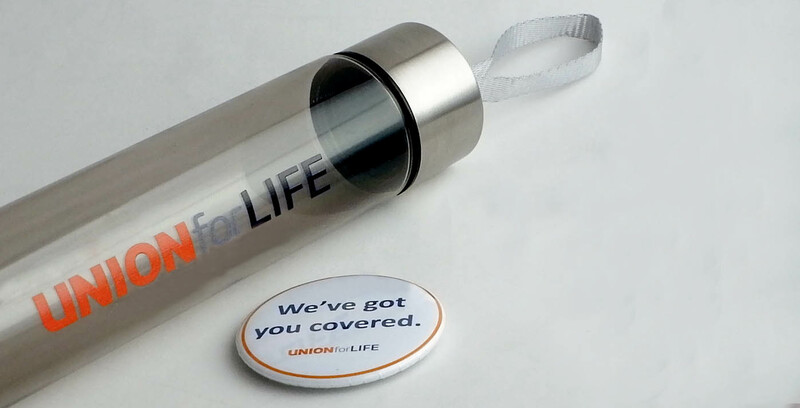 For example, a branded water bottle is both affordable and portable. Clients can carry it around, making impressions throughout the day. Choose souvenirs that are attractive and functional, without breaking the bank. There’s no better way for a company and its employees to enjoy the holiday season than to throw a corporate Christmas party. However, planning a memorable Christmas party for your staff is not an easy feat. Any event involves much planning, but a successful holiday party has the added requirements of boosting morale, building goodwill and communicating appreciation for a year of hard work and effort. So, where do you even begin? Here are a few tips to make party planning a little less stressful, and a lot more enjoyable. Delaying preparations for your party will only lead to unnecessary stress in the future. The earlier you begin, the more you can accomplish for your event. You’ll also have more time to deal with the problems that will inevitably crop up. The best place to start is always by setting a date. As the holiday season approaches, you will be facing stiff competition for the best locations. The best venues go quickly, so the earlier you book a place the better. Careful consideration should also be given to how far your party-goers will have to travel to reach the venue. Knowing they will get home safe will allow attendees to let loose and have fun. If your budget does not allow for a pricy venue, another great option is to host the party in your own office space. The importance of having excellent entertainment can’t be stressed enough. The secret to choosing the best musical act for your party is knowing your audience. Hiring a string quartet to entertain a crowd in their twenties is a mistake you don’t want to make. Once a date has been decided, send an invitation to employees fast. Your employees’ schedules will fill up quickly over the holidays. It’s a busy time and you want to make sure as many people attend as possible. Having an appropriate theme makes a world of difference to the celebratory atmosphere. It also makes a great talking point leading up to the party. This generates pre-party buzz as employees plan for their outfits. If you can’t decide on a theme, just put it to a vote. Your staff are sure to have excellent ideas. Plan a menu that’ll keep guests coming back to the buffet table. Food and drinks are key factors to any event’s success. Look for a menu which has something for everyone, especially picky eaters, vegans, non-drinkers, etc. If your budget is limited, throwing a Christmas potluck party might be a good idea. Don’t be too busy during the party to converse with your employees. Circle the venue and take this chance to get to know your staff on a more personal level. Your employees will appreciate your interest and it will help strengthen your relationships with them for the following year. Photos make great reminders of a fantastic celebration! Plus, once the party is over you’ll have amazing photographs which can be used for company publicity and social media for years to come. You can even rent a photo booth. It’s always worth considering hiring a professional photographer if you want high quality snaps of the event. Christmas parties are a great opportunity to give out awards to your employees with the goal of inspiring them for the year to come. You have the choice of giving out formal or comedic awards. The type of awards you’ll have will be greatly dependent on the theme of your party. It’s not necessary to go big or go expensive, but your giveaway needs to be fun for everyone. Think of Christmas giveaways as a means of boosting employee morale and thanking them for their contribution to the company’s growth. There are many ways to build a lasting relationship with your clientele, such as providing wonderful products, going above and beyond your promised service, or offering extra benefits for long-time clients. One of the simplest yet most overlooked method of communicating genuine client appreciation is gift giving. A card or a phone call might do the trick, but taking that extra step may prove worthwhile for you and your brand. No matter where they are around the globe, your clients will appreciate thoughtful gifts that make them feel close to your brand. 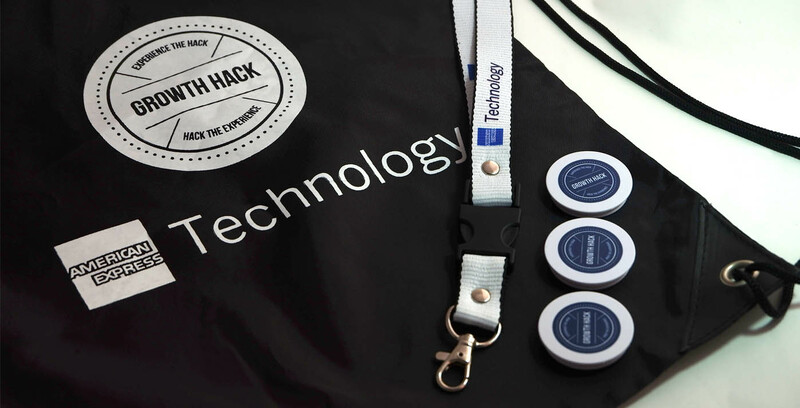 Whether they are static or traveling, corporate gifts like personalized dry bags, gadget pouches and custom flash drives are practical and keep your brand top-of-mind. If you want your clients to see value in your brand, it is important to effectively communicate what it stands for. Do you deliver a service relevant to your clients’ daily lives? If so, gift them an item that they can use everyday like a personalized planner or tumbler. If your offerings are more seasonal in nature, an umbrella with your company’s logo might be a good idea. Select a gift that conveys the relevancy of your brand in your clients’ lives. A gift is wonderful at opening up the lines of contact. 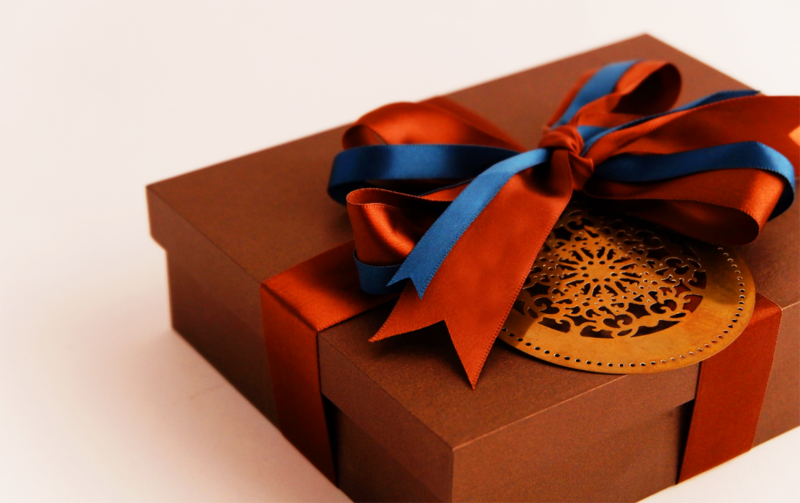 After receiving your gift, your client will most likely reply to show appreciation. This provides the chance for a conversation. Communication is important in order to stay on top of your client’s needs. This will also convey to your client that you are dependable and accommodating. There’s a high chance that you’re not the only company your client works with, but effective gift giving can help you become their favorite. Your clients will prefer to do business with brands they know and appreciate. Sending a thoughtful gift is a great way to differentiate your business as a preferred partner over your competitors. The presents you give to your clients say a lot about you and your business. Be proactive! Try to find out your clients’ preferences and gift them something that expresses how much you value your professional relationship. Not only will this heartfelt contact keep your brand in their minds, it will also show that you and your business care for them as individuals. Christmas season is upon us, providing many exciting opportunities for businesses to market their products in special ways. What’s a great promotional material that your clients actually look forward to receiving? Free items in a Christmas giveaway! Ditch the old marketing megaphone and step away from tired holiday promotional trends. A Christmas giveaway gives you the opportunity to communicate with a huge holiday-obsessed stampede and turn these casual visitors into lifetime clients. If you already have loyal repeat customers, let them know about the giveaway. Chances are, if they already trust your brand – they’ll be thrilled to get a chance to receive something from you for free. You can make a post on social media or send an email announcement to inform them about the giveaway. A unique or humorous promotional item will encourage recipients to share it on social media. This is where your giveaway can get the most traction. If your item piques the netizens’ interests, they are more likely to look your business up. Don’t forget to incorporate a witty holiday-related hashtag on your giveaway post for added appeal. While your Christmas giveaway is in full swing, be sure to update clients about your free item. Use social media to help create buzz. Getting people excited about your item will keep you a top-of-mind brand throughout the season. When you see clients posting about your giveaway on social media, ask for permission to repost their photos (with a corresponding tag) on your official account. Likely, they’ll be thrilled about the exposure. This may also help you reach a new audience, as the people on your client’s friends list may see your post. This can become a gateway for them to get to know your brand.